School officials and law enforcement participant in a community town hall on school safety at the Ent Center for the Arts on the UCCS campus. 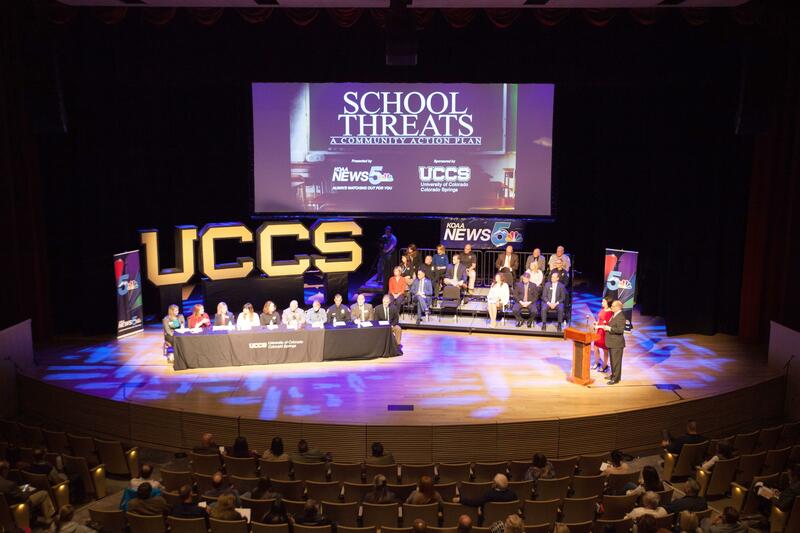 Those words from Chancellor Venkat Reddy began a community town hall at the Ent Center for the Arts as community members, school districts and law enforcement came together to discuss the ongoing threat of school safety March 12. Rob Quirk of News 5 motions to the crowd during the community town hall at the Ent Center for the Arts March 12. 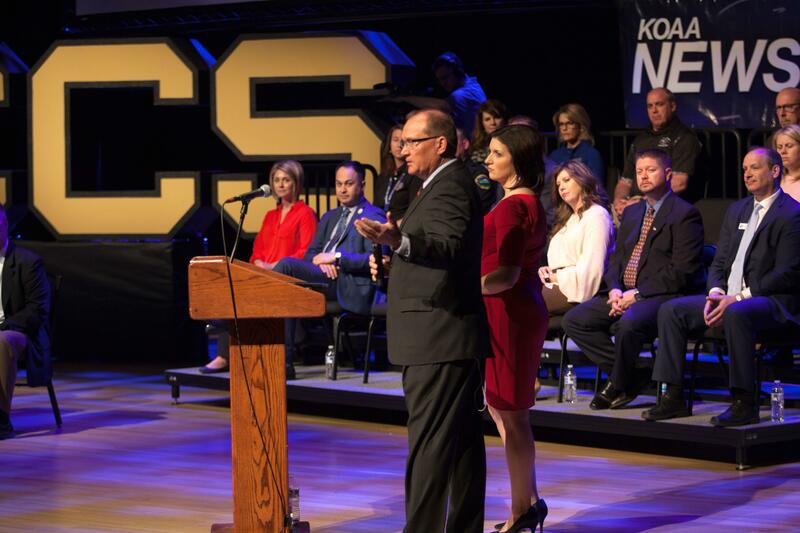 A panel of 10 individuals, representing school districts, mental health services, law enforcement and school security officials, answered a series of questions from moderators Rob Quirk and Elizabeth Watts, weeknight anchors for KOAA News 5. The first 90 minutes of the town hall included topics like how people can report threats, how threats are confirmed, how they are investigated by law enforcement, how social media has impacted reporting and rumors, and how parents can be involved in school safety. The final hour was open to audience questions, where several people asked about funding and the challenges school officials face with limited resources.